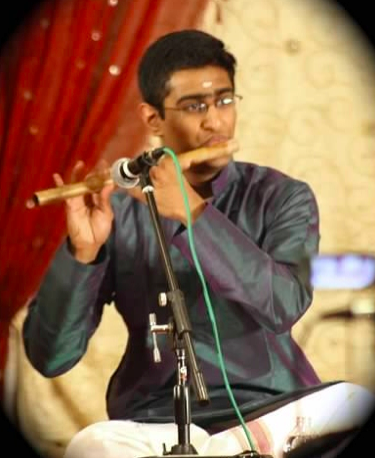 Shashank Subramaniam began learning the flute at the age of 7, along with his twin sister Shruthi, from Smt. Dr. Sunitha Grandhee, disciple of the legendary flute maestro Sri. Dr. N. Ramani. He currently learns from vidwan Sri R. Thiagarajan, son of Dr. Ramani. He also take lessons from Palai Sri. CK Ramachandran, the premier disciple of the late Semmangudi Srinivasa Iyer. Shashank has given concerts at various venues in the midwestern United States as well as in Chennai. Shashank is a junior studying Chemical Engineering at the University of Michigan at Ann Arbor.